With Jonah Hill already on board to play the guy who eventually explodes with splenetic rage on Leonardo DiCaprio's selfish stockbroker, Martin Scorsese's The Wolf Of Wall Street can move on to the authority figure who must be the stand-in for the audience's sense of decency. 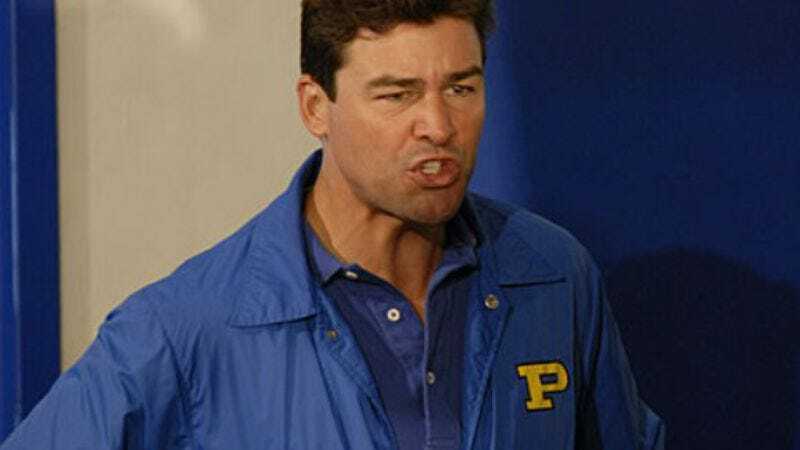 And of course, currently no one is a better funnel for America's wounded disappointment than Kyle Chandler, who has signed on to play the FBI agent who eventually takes DiCaprio down after the latter amasses a huge fortune through shady means, then blows it all on alcohol, drugs, and women. "Let me tell you something: If you look inside your heart, I bet you'll figure out right quick that bankrupting the country—all so you can have a party—ain't the way to do it, son," Chandler's character will hopefully say to DiCaprio at some point, perhaps with his hand on his shoulder in a manful manner.